Ever since Trump was elected, Americans are way more into trade and immigration. 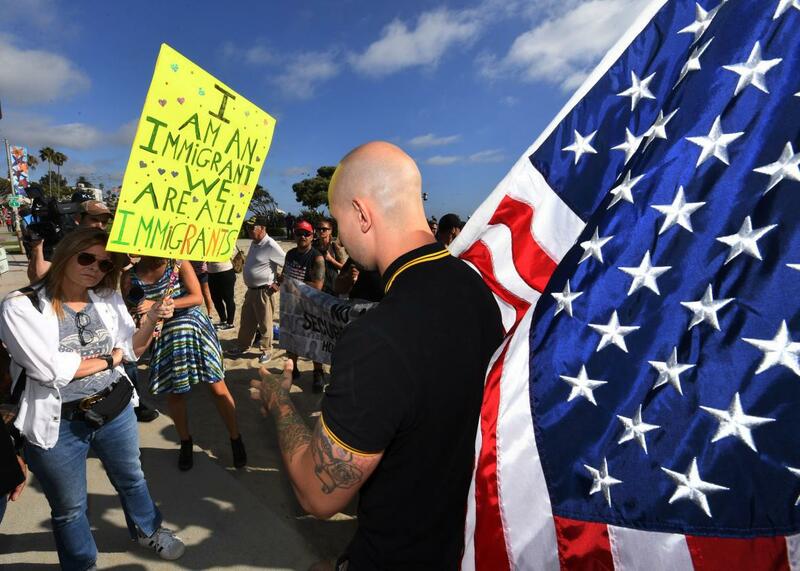 Counterprotesters (left) argue with Trump supporters during dual rallies with the America First pro-Trump group in Laguna Beach, California, on Aug. 20. A new survey of Americans’ views on their country’s role in the world shows they generally favor a more traditionally activist approach to foreign policy, including strong alliances, rather than the “America first” principles promoted by President Trump (at least early in his presidency). Trump is a historically unpopular president, and the people who don’t like him really don’t like him, so perhaps we shouldn’t be surprised that his core causes are becoming unpopular as well. The trends above apply to Democrats, independents, and Republicans, though the report’s authors note that views of Trump’s core supporters haven’t changed at all.